A rendering shows all three levels of one of Dubai’s new Floating Seahorse villas. For years, Dubai has been known as a playground for extreme urban design. From Ski Dubai, the city’s massive indoor ski slope, to the towering Burj Khalifa, daring architecture seems limitless in the United Arab Emirates’ capital city. 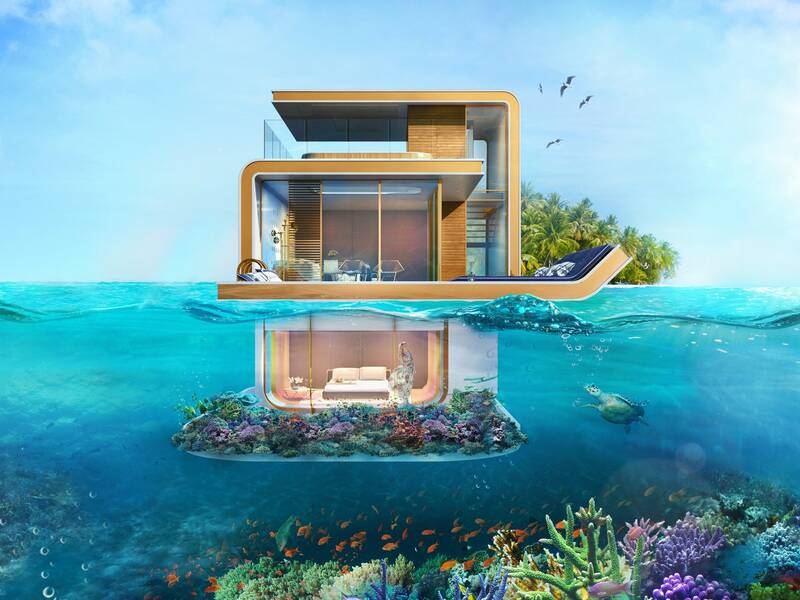 Soon, Dubai will be adding yet another innovative wonder to its roster: the Floating Seahorse villas, located roughly two and a half miles off the coast in the waters of the Persian Gulf. Spearheaded by the design firm Kleindienst Group, the units have a current asking price of $2.7 million. The floating homes will consist of three levels—the main floor at sea level, an upper deck, and a lower level completely submerged in water. The main floor, which includes an outdoor shower, a kitchenette, and glass-bottomed jacuzzi, will be ideal for entertaining. The lower, underwater level houses a master bedroom and bathroom with floor-to-ceiling windows for breathtaking views of marine life. 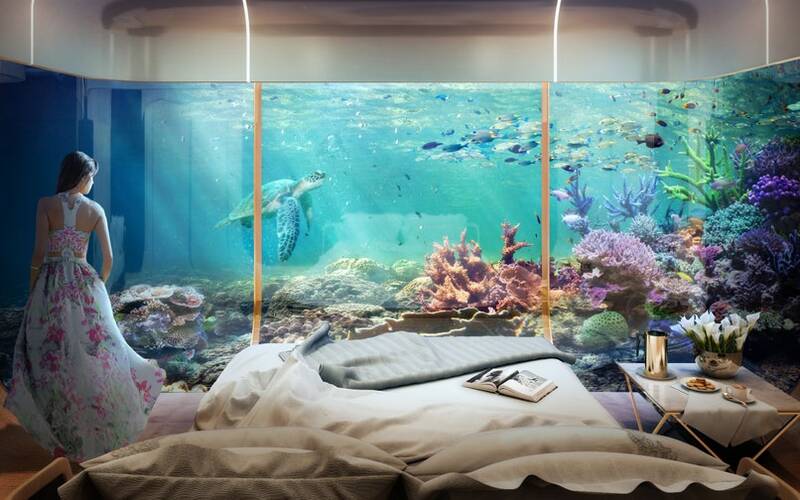 The master bedroom will have views of the adjoining coral garden. The first phase of the Floating Seahorse villas should be completed by late 2016 and ready to use. The aquatic homes have been designed for vacations, not permanent residence, as they are only accessible by sea or air. A view from the main room, at sea level, looking out toward Dubai.